This little piggy is going all the way to your home - weeeeeeee! Pig toys are all the rage! 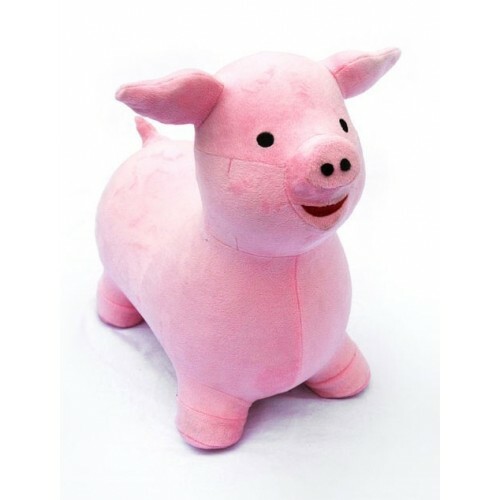 If Peppa, Olivia, Babe or even the Three Little Pigs are on high rotation at your house, you'll love Poppy, our gorgeous, inflatable bouncy pig toy. Poppy is made to last and like all Zooba inflatable fitballs for kids, she's double stitched, super soft and extra safe up to 60kg (for use under parental supervision of course). Your child will have a ball bouncing around on this gorgeous pink ride on toy – but more than that they'll be developing muscles, coordination and so much more. Poppy and all her Zooba buddies are more than just totally awesome kids toys and early childhood companions, they're mum's best friends too. Who wouldn't like a toy that can burn off kid energy? Why not bring Poppy and his farmyard buddies home to your house? Weeeeee weeee weeee, all the way home!